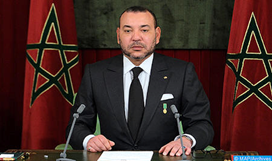 His Majesty, Mohammed VI, King of Morocco, son of the late King HM Hassan II, is the 23rd king of the Alaouite Dynasty, the reign of which started in the middle of the 17th century. - Primary and secondary education at Royal College. Baccalaureate on June 1981. - Higher education in Law at the University Mohammed V of Judicial, economic and social sciences in Rabat. - 1988: Second Certificate in Public Law with honour. - 1993: Phd in Law with distinction at the University of Nice-Antipolis in France. Thesis was on “Cooperation between the European Economic Community and the Arab Maghreb Union”. - HM the King is Author of a book and many articles on the Euro Maghreb cooperation. - He writes and speaks fluently in Arabic, French, Spanish and English. - The opening session of the Ministerial Meeting of GATT (Marrakech, April 12th, 1994). - The opening of the work of the National Commission for the Commemoration of the 50th anniversary of the UN on January 12, 1995. -The closing session of the seminar on "Relations between Morocco and Europe" (Paris, April 9, 1996). - Inauguration of the Macro-American Council office of Commerce and Investments (New York, December 10th, 1996). - Chairman of the Organizing Committee of IXth Mediterranean Games in Casablanca (March 18th, 1982). - Chairman of the Commission charged of the Organization of Pan-Arab games VI (April 11th, 1985). - Coordinator of offices and services of General Military Staff of the Royal Armed Forces (November 26th, 1985). He has also been promoted by His Majesty King Hassan II, to the rank of Divisional General, July 12th, 1994. - The Enthronement of His Majesty King Mohammed VI, Amir Al Mouminine, took place on July 30th, 1999. He pronounced His first Speech of the Throne, at the Royal Palace in Rabat. This date becomes, officially, the Throne Day. - The Mohammed V Foundation for Solidarity. - The Mohammed VI Foundation for the rehabilitation of prisoners and inmates of the rescue centers for children. His Majesty King Mohammed VI presents his support for the work of civil society organizations. It is, indeed, the Honorary President of a large number of active associations in various areas of socio-economic development. • Morocco consolidates its reform process, continues its march towards democracy and its important reforms, with determination to guarantee sustained economic and social development for the benefit of its citizens. • The Kingdom of Morocco witnesses transformations which are contributing to the development of its model in conformity with its history and national priorities. • Morocco is expanding its infrastructure, growing its internal and external exchanges and being anchored into the global economy, enjoying a visibility within the international community that recognizes the Kingdom's role at the continental level. It is a country turned towards the future. • The Kingdom of Morocco is also a melting pot of diversity. This latter provides a great wealth and constitutes the base of its unity. Indeed, each and every one of Moroccans contributes to the country’s development. • Progress in the field of Women’s rights. The adoption of the new Moudawana has been a turning point in this regard. • The Kingdom has increased investment in its ports, transportation, and industrial infrastructure to position itself as a golden gate to Africa. • Morocco continues to occupy the third place in the MENA region and the first position in North Africa in terms of doing business. • Morocco is the most attractive economy for investments flowing into the African continent, according to the latest Africa Investment Index 2018 by Quantum Global Research Lab and Ernst and Young. • Over the last decade, Morocco has become the first car producer in the Middle East and Africa as well as a major aerospace industry manufacturing Hub, generating more than 1 billion US dollars in exports. 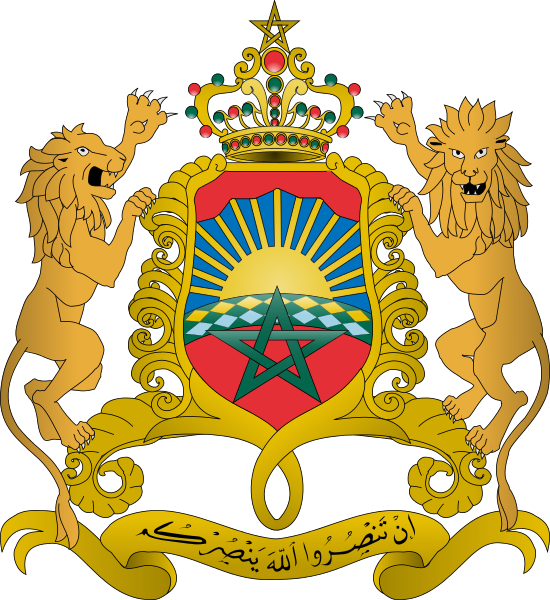 • Relying on its achievements, the Kingdom of Morocco opens more to the world. It establishes new partnerships, even with geographically distant countries. These invest their talents and resources in Morocco alongside traditional partners due to the confidence they have in the assets and strength of the Kingdom. 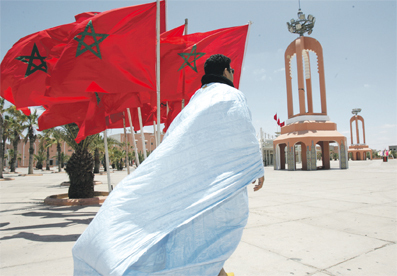 • In addition to being part of the African family, Morocco also belongs to other circles of solidarity which do influence its diplomacy: as it illustrated by its attachment to the Islamic Organization of Cooperation, to the Arab league, to its Maghreb and Mediterranean space as well as to the Francophone circle. • South-South Cooperation figures among the principal orientations of the Kingdom’s Foreign Policy. It is dictated by the cross-cutting nature of common challenges facing the world, such as Climate Change, Migration or Terrorism which require an inclusive global cooperation and coordination. • In the framework of this continental South-South cooperation, hundreds of cooperation agreements have been signed between Morocco and the African countries. Morocco is proud to welcome more than 10,000 students, from 42 African countries, including 8,000 with scholarships. Similarly, this cultural cooperation covers as well the Pacific Island countries that benefit annually from hundreds of scholarships. • Moreover, the Kingdom of Morocco contributes largely to the promotion of peace, security and stability. It fully assumes its responsibilities when it comes to conflict resolution. • In this regard, Morocco is among the main countries that are involved in Peacekeeping operations, with the contribution of more than 2300 elements of the Royal Armed Forces. Morocco is currently the 14th troop contributor globally and the second in the Arab World. • Morocco launched two satellites (Mohammed VI- A / B) as part of an ambitious space program initiated by HM the King of Morocco in 2013. They are complementary and will be managed by Moroccan engineers and other technical personnel trained for this purpose. • As part of the efforts of the Kingdom of Morocco to develop its national rail sector, the High Speed Train LGV, named “Al Boraq”, the first of its kind in Africa and Middle East. - Trophy of the International Association against Violence in Sport (IAAVS). - Gold medals awarded by the sports magazine (French-English) "African champion" for the years 1988-1989. - Medal of high merit of South-American football Confederation. - U.S. Foundation Award "Helen Keller" who works in the social field, particularly in the fight against blindness. - Medals of the Spanish Senate and Congress. - First prize, awarded by the Spanish city Almunecar to the personalities contributing significantly to strengthening the relations between the Arab world and Europe. - High cordon of Abu Bakr Seddik, the highest distinction of the organization of the red crescent and red cross Arab associations.